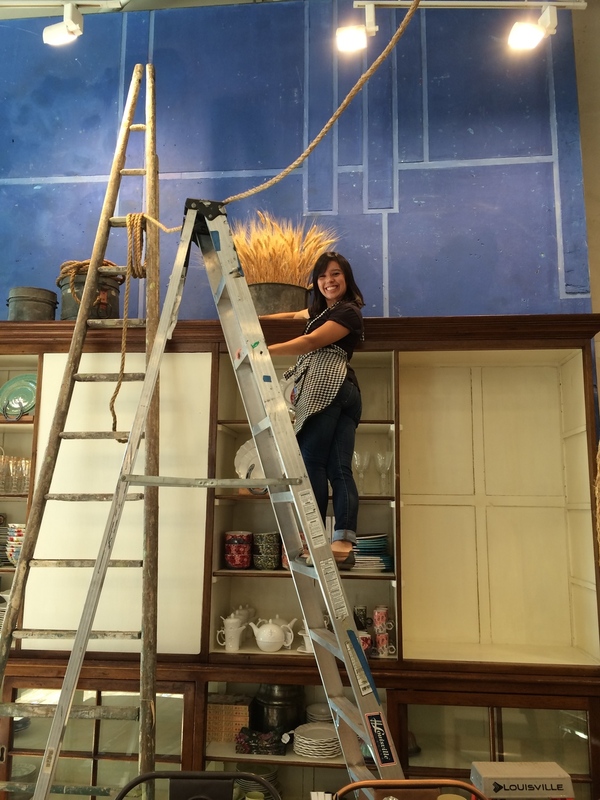 I have had the honor of assisting Melissa with all the displays for the past two years at Anthropologie. Photographed below are some of the displays I helped to create. I love that Anthropologie implements different textures and uses a lot of handmade things to mimic real life objects. There is always a well thought-out balance behind each display. Everything is so detailed and we really have to think outside of the box to create the displays. I believe that is what sets Anthropologie apart -- well thought-out, detailed displays that capture the eye and bring the store to life. There is always something new and exciting to look at.